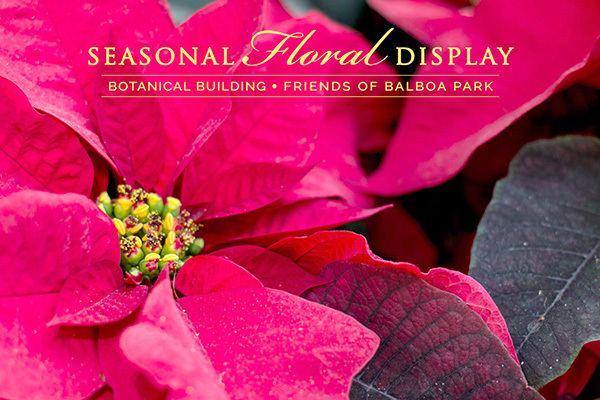 Friends sponsors the seasonal floral displays in Balboa Park’s iconic Botanical Building, made possible by donor dedications. The poinsettias will be on display from December 7 to mid-January. Be sure to stop by and celebrate one of the region’s most festive seasonal displays! Friends of Balboa Park is re-creating the Park’s iconic Honeymoon Bridge over Palm Canyon, that in the 1930s would ‘guarantee couples eternal love’ if they walked across. The bridge is being resurrected by the Friends, who are hosting a kick-off fundraiser on Sunday, January 13, in Balboa Park. The event will feature hors d’oeuvres, cocktails and entertainment. Space is limited, and tickets will be available at www.FriendsofBalboaPark.org. In 2017, Friends acquired the historic Balboa Park Carousel and launched a multi-year $3 million fundraising capital campaign to restore and complete the purchase. The campaign has surpassed the $1.3 million mark, thanks to the community’s generosity. We still have a ways to go to reach our next milestone, and need your support. Please consider a tax-deductible donation today, and help preserve one of the park’s most beloved icons! For more information on Friends’ events and park improvement projects, or to support the Balboa Park Carousel, call 619.232.2282 or visit www.friendsofbalboapark.org. Friends of Balboa Park is a nonprofit affinity organization that champions and enhances the park by connecting the philanthropic community to Balboa Park. The group has spearheaded major capital improvement initiatives throughout Balboa Park, including upgraded carillon speakers in the California Tower, restoration of the historic gate houses and Lily Pond, information kiosks, Adopt-A-Plot, program, dedicated benches and trees, operation of the historic Balboa Park Carousel, and other programs that facilitate the community’s direct involvement in the enhancement of Balboa Park.